When it’s time to find an orthodontist, you will probably do some investigating before making your first appointment. Researching orthodontic practices near you may even be what led you to this blog post. But finding a good orthodontist will take more legwork than a quick Google search. 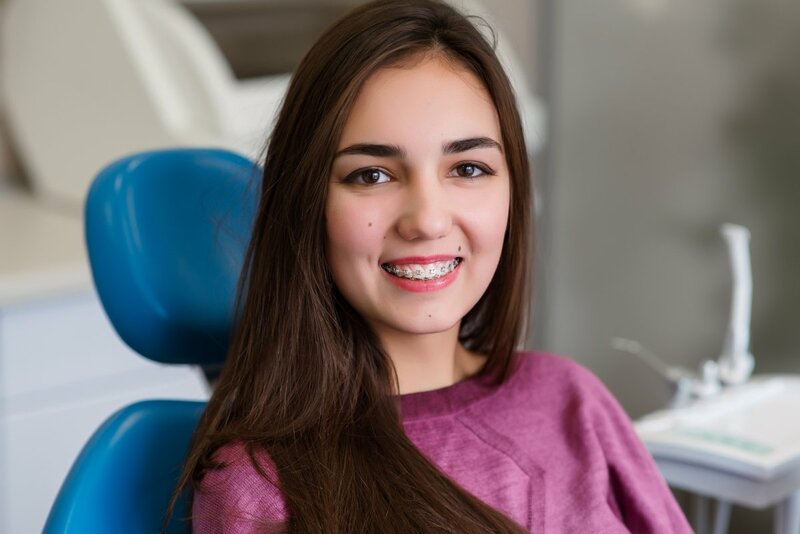 Getting braces may seem like a straightforward process, but the truth is, all orthodontic practices are not created equal. Asking the right questions can help you find the right orthodontic practice for you or your child. When looking for an orthodontist, make sure that the doctor is an actual orthodontist. There is a difference between dentists and orthodontists. For example, an orthodontist is a specialist having received two to three more years of training in the movement of teeth than a general dentist. Orthodontic treatment requires a series of appointments so it’s safe to assume that you will be spending a good bit of time at the office. Make sure it’s a place you won’t mind visiting often. Is the office clean? Do the instruments appear organized? Is the clinic in plain view of the parent? How easy is it to park? Are amenities like coffee, tea, and wifi available while parents wait? Evaluating these things may help you decide which practice is the best fit for you or your family. Customer service needs to be a priority in every orthodontic practice but that is not always the case. When considering a practice, notice if the person who answers the phone is receptive to your questions. How promptly are calls returned? What is the practice’s policy on emergencies (broken brackets, poking wires,impact injuries from sports, etc.)? How easy is it to talk to the doctor? Are the assistants friendly in their attitude and gentle in the mouth? Always make sure to understand your financial responsibility before beginning orthodontic treatment. Does the practice disclose the cost of treatment and any other fees at the initial exam? Are they willing to work with you on a payment plan to make braces affordable? Does the practice accept different forms of payment: automatic draft, credit card, cash? Do they offer in-house financing? Trust your instinct. Your child’s mouth may be very different from the other kids in carpool or at soccer practice. The “big name” may not be right for you. Do your homework, and get a good fit at the start of the relationship. One of the most reliable ways to find a qualified orthodontist is by searching on the American Association of Orthodontists website. Click on “find an orthodontist” in the blue box at the bottom of the landing page. When you enter your zip code, the result will show you a list of qualified orthodontists in your area. If you have questions or need more help, call Piper Orthodontics. Our phone number is 901-756-4316.